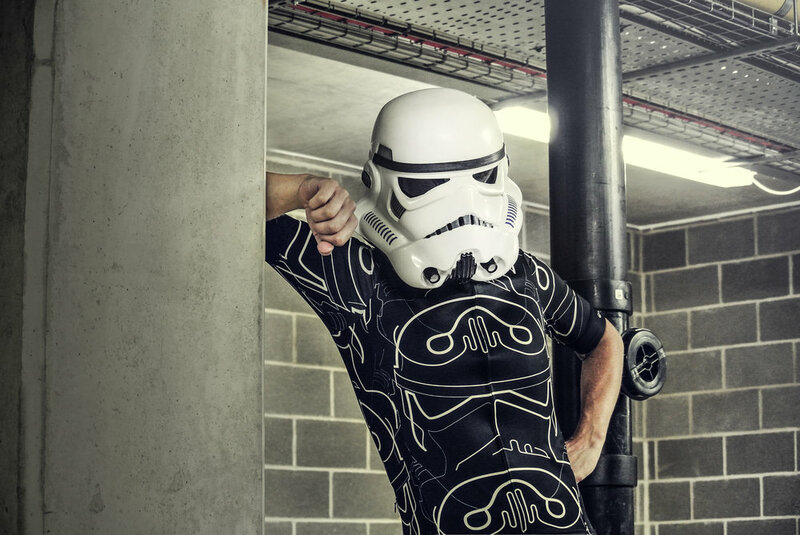 The Stormtrooper costume has of course become a genuine cultural icon across the world since then, but this is possibly the first time it has appeared on a cycling jersey. Milltag collaborated with Ainsworth and his team at Shepperton Studios to come up with the striking designs. They are only available to pre-order and, due to licensing terms, are not on sale in the United States. The new jerseys use the technical specifications from Milltag’s Club jersey and feature a 'Club fit', a high wicking Coolplus micro-fibre body with anti-bacterial and active wicking Carbonmesh sides. It also includes lightweight Stretchfit sleeves for increased aerodynamics, a full length hidden zip and three rear pockets with extra hidden zip pocket. So, if you know of any MAMILs who are Star Wars fans, this looks like the prefect gift - may the force be with you!